You’re right that amp wiring is a little more involved than swapping out speakers or a head unit, but the job shouldn’t prove too difficult if you’re already familiar with the basics of car audio. Since car audio power amplifiers typically don’t come with any of the wires or cables that you’ll need, you’ll either have to piece everything together yourself or buy a car amp wiring kit. The first three connections are necessary in order to provide power to your new car amplifier. The battery power cable should be hooked directly to the positive terminal on your battery, which means that you’ll have to route it through your car’s firewall at some point. This cable needs to be relatively thick, typically somewhere between 10 and 1/0 AWG, but you can usually find the specific gauge that you need in the manual that comes with your amp. In most cases, you’ll want to use the same gauge cable for your ground connection, but your ground cable won’t need to be as long as your power cable. The remote turn-on wire can be even thinner, and it only needs to be long enough to reach your head unit from wherever you have chosen to locate your power amp. The last two types of connections involved in amp wiring are the audio inputs and outputs. Depending on your particular setup, you’ll either need speaker wire or a combination of RCA cables and speaker wire to make these connections. Since most car amps don’t come with any wires or cables, you’ll typically have to buy the necessary components yourself, either separately or as part of an amp install kit. If you go the former route, then you should start out by checking your manual to see what gauge power and ground cables your amp calls for. You can also take measurements to see how long a run there is between your battery and the location where you’ll be installing your amp. While you’re at it, you can check the distance between that location and your head unit to see how long your remote turn-on wire needs to be. Finally, you can determine whether you need traditional speaker wires or RCA cables by looking at whether your head unit has line-level RCA outputs. If it doesn’t, then you’ll just be using speaker cables to hook into your amp — provided that it has speaker-level inputs. After you’ve put together a list of all the cables and wires that you need to complete your installation, you have to go through the actual process of finding and buying them. Power cables and speaker wires are typically available in bulk, although you can usually buy power cables that are cut to the specific lengths that you need. RCA cables are also available in a variety of lengths, although you should try to keep them as short as possible so as to avoid tangles and kinks. Although amps typically don’t come with any of the cables or wires you’ll need to perform a DIY installation, you can obtain everything you need in a single package. These packages are referred to as car amp wiring kits or amplifier installation kits since they come with just about everything you’ll need in order to complete a DIY installation. Car amp wiring kits are typically referred to by the gauge of the power cables, so, for instance, you can find 10 gauge kits, 8 gauge kits, etc. With that in mind, it’s absolutely crucial to find out what your amp calls for in terms of power cable gauge. Of course, you’ll also need to know how many channels you’re wiring and whether or not you’ll need RCA cables. 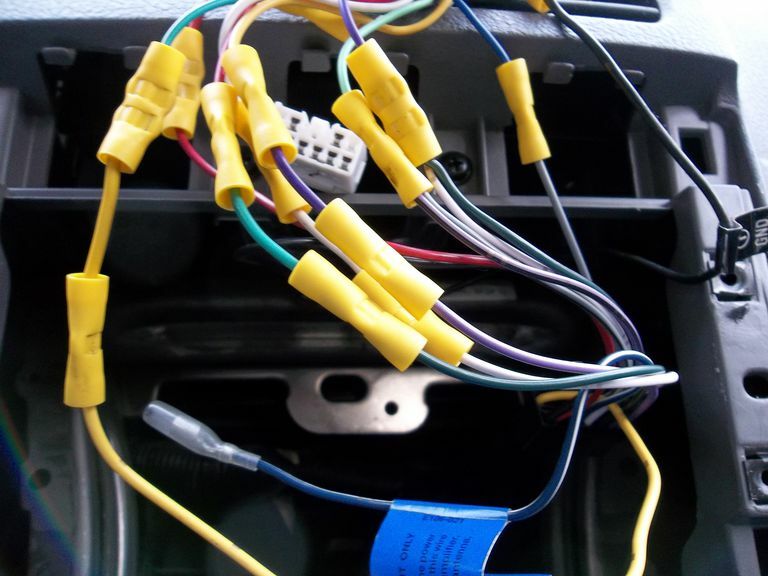 Armed with all of that information, finding the right car amp wiring kit for your application isn’t particularly difficult. RCA patch cables or speaker wire. In-line fuse and fuse holder. Flexible loom and/or wire ties. Crimp connectors and/or solder and heat shrink. Wire termination hardware (spades, rings, etc).